A director whose passion for his characters is not matched by his ability to communicate his vision. 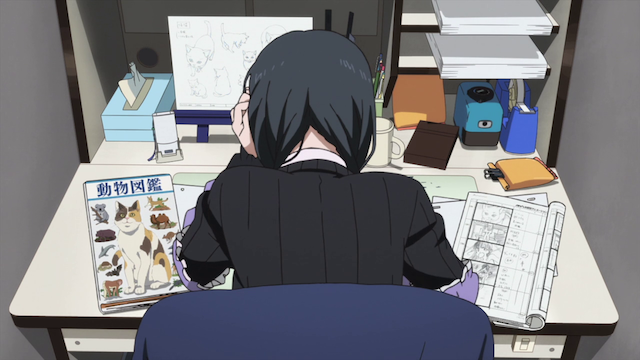 Shirobako presents the world of animation production by examining, in a somewhat comical way, the difficulties that people will find in their everyday work: useless coworkers, frustrations that they don’t have the necessary skills, aggressive timelines, etc. As an example, in one episode, the series director decides a finished product doesn’t completely fulfill his artistic vision. Although the episode has been filmed and recorded, he wants to bring things back for rework from the key frames up. Emotions get intense, as other members of the production staff accuse him of sabotaging the work. With only five days left until delivery there is barely a moment to spare if they are going to bring the rejected scene through the entire production process once more, but the production assistant (and viewpoint character for most of the series) asks that everybody meets so they can get on the same page; the result is shared understanding, and a team committed to delivering quality work, instead of fighting amongst themselves. A new animator working hard to learn her craft. One of the interesting parts of the series was that the problem of career development came up several times in different ways. There were new comers who were struggling to make a debut, there were young professionals wondering if they could keep up with the work that had been handed to them. There were established professionals contemplating career changes, and the effects of technology upon their domain. There was even an elderly veteran of the industry who was wondering if he still had anything to offer at all. 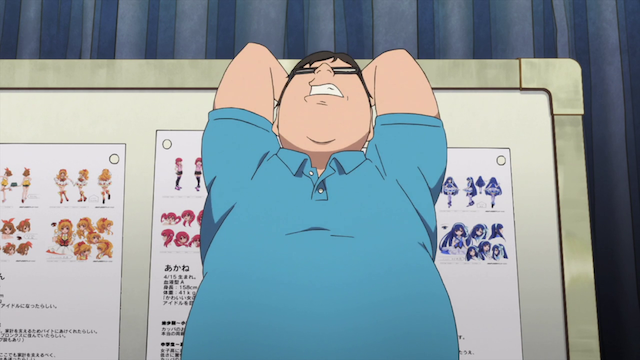 Shirobako is a fun watch. It is also one of those rare shows that is meaningful to older people who would like to see an anime about people with real jobs. I really do recommend it for those that may have missed it. For those who watched Shirobako, and want a little more, you might try Animation Runner Karumi; it was an animated short about someone who had a job similar to Aoi’s.